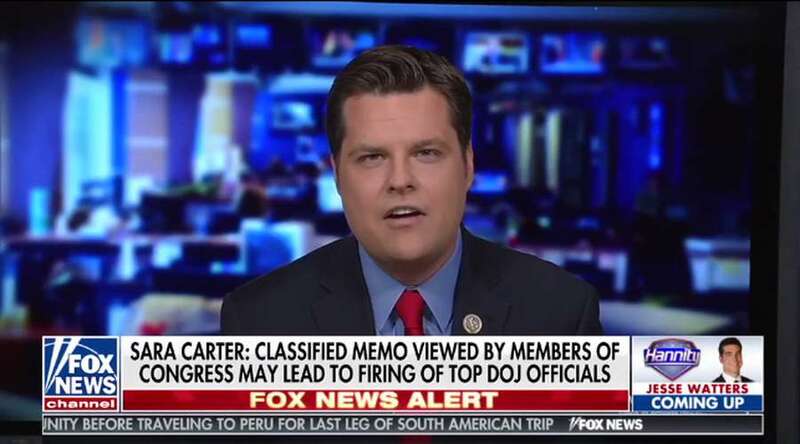 Rep. Matt Gaetz leads charge to release secret memo alleging wrongdoing by FBI. WASHINGTON – Some Florida Republican House members are calling for the public release of a secret memo that alleges wrongdoing by the FBI and Justice Department in surveillance of the Trump campaign — an effort critics say is to distract from probes into the 2016 election. "This important memo will be of interest to anyone who cares about America and our democratic system of government," read a letter headed by Rep. Matt Gaetz, R-Fort Walton Beach, and sent to Intelligence Committee Chairman Devin Nunes, who authored the four-page memo. "We are writing to request the immediate release of this document to the public, as well as any relevant ancillary information. The audience of this document should not be limited to Members of Congress — the American people deserve to know the information it contains." 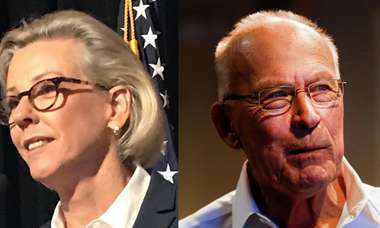 The letter was signed by more than 60 Republicans, including Florida Reps. Francis Rooney and Ted Yoho. Gaetz has been a frequent guest on Fox News to discuss the allegations. "I think that this will not end just with firings. I believe there are people who will go to jail," he told Sean Hannity last week. Rep. Tom Rooney, a member of the Intelligence Committee, also supports its release. "This memo reflects the result of months of diligent investigation by the Committee. This is why we voted to ensure that every Member of the House could read and learn for themselves our findings. As the Committee determines the most appropriate process in which to do so, I support making this memo available to the American people. Any delay in the release of the memo should only be to protect sensitive sources and methods of the Intelligence Community." Democrats contend it is part of an ongoing effort to discredit the investigation into Trump world and Russian meddling. "It's highly distorted spin by Nunes," Rep. Adam Schiff of California, the top Democrat on the Intelligence Committee, told the Washington Post. "The Nunes spin memo distorts the underlying materials and has presented Members with a very misleading impression of what those materials show." Nunes has refused to share the memo with the FBI.